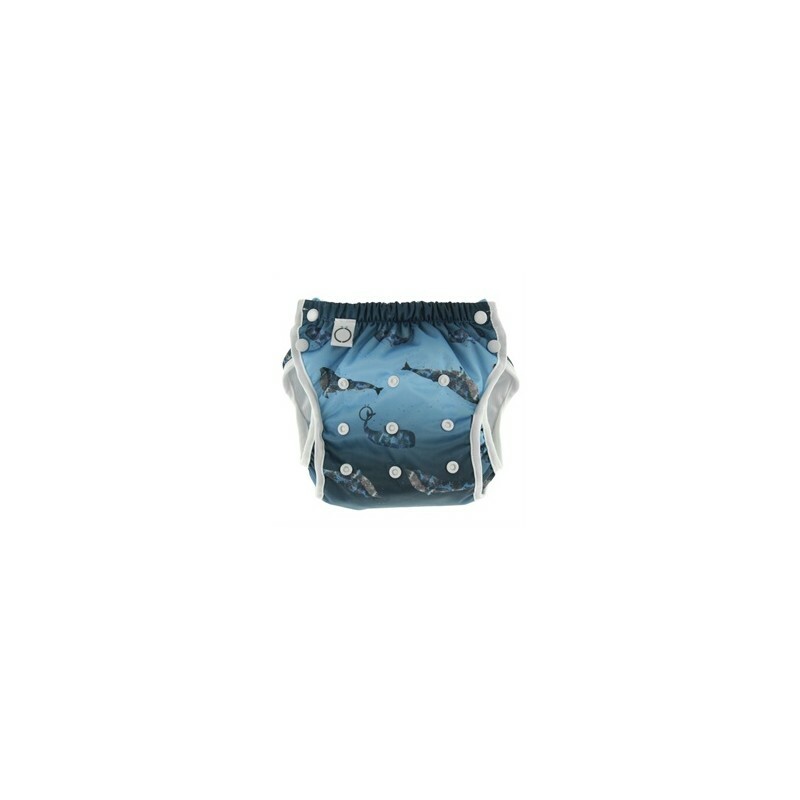 The one size swim cloth diaper by Omaiki is a perfect bathing suit for babies in an adorable style. 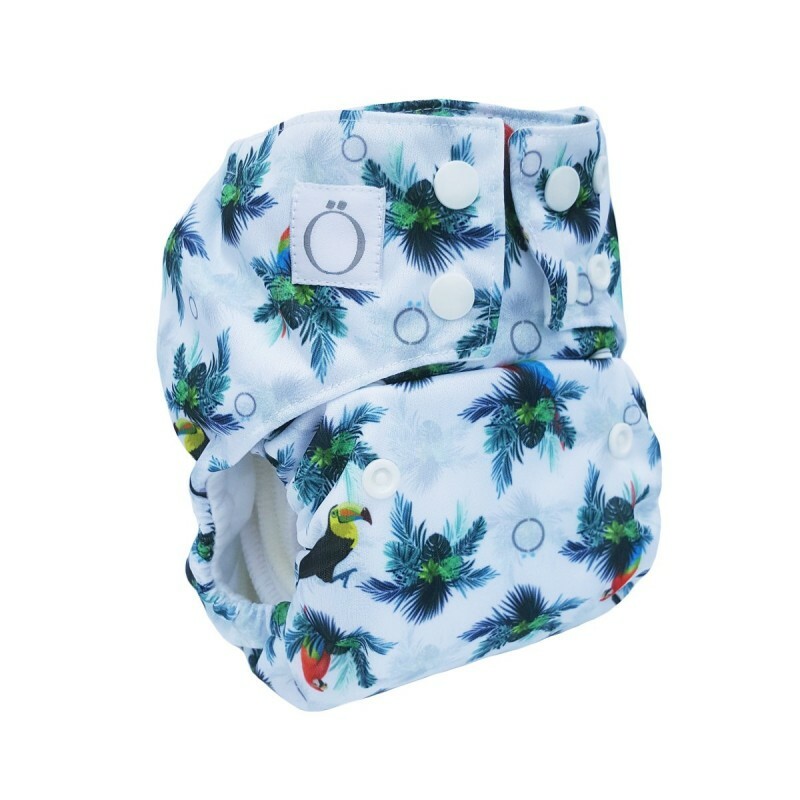 They combine the look and the reliability of the Omaïki H2O bathing suits with the added protection of an interior lining which helps to prevent little accidents in the swimming pool. Bathing suits come with side snap buttons, which make it easy to remove the bathing suits without mess. We recommend washing H2O bathing suits in the same way you wash the bathing suits for mom and dad. Handwash with delicate soap or machine wash using delicate cycle, preferably using a laundry net. It is important to realize that bathing suits (of any kind, disposable or reusable) allow some water to penetrate and when it mixes with the baby's stools it may risk leaking into the swimming pool unless the baby is quickly removed.